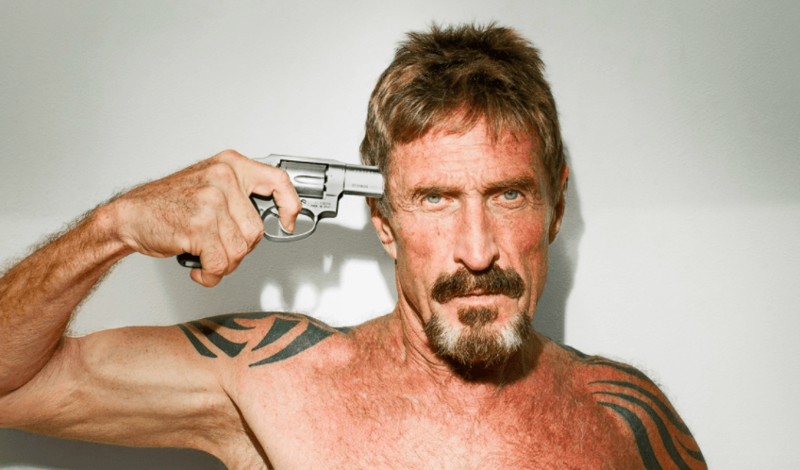 Outspoken crypto pundit John McAfee is rallying the troops. In his latest video he warns of a looming war on the horizon, a war with the government, banks, and financial institutions that has already begun. Banks have already declared war on us by denying us the ability to purchase crypto with credit cards. One of the opening statements rings true with many since the credit card blockade four months ago. US and UK banks first initiated a ban and many exchanges implemented disproportionate fees by classifying credit card purchases as cash advances. Banks across the world are generally anti-crypto as the entire concept of decentralized money goes against the business model of a centralized bank which is to profit from the holding and moving of other people’s funds. McAfee goes on to state that the SEC is trying to abscond with crypto by treating them as securities, we are at war. A call to action follows with the first step being to write to your congressman. While this isn’t an option for most crypto traders the next piece of advice certainly is. We still live in an age where fiat is used for most transactions and payments. As a result we need to change from crypto to fiat and vice versa and we need a compliant bank in order to do this. If customers go into their banks asking why this is not possible and threaten to change banks to one that allows crypto-fiat deposits, then the bank has to take notice if complaints are high enough in numbers. This call to arms for crypto enthusiasts is wider reaching than just those in the US. Clampdowns from institutional powerhouses can only be fought with people power, and the more mainstream crypto becomes the more power the people have. The call is to sign the declaration on the blockchain for those ‘who have awakened to the stark contrasts that exist between the future promise of this technology and the current control mechanisms in place’. At the time of writing the website handling the digital signatures timed out, maybe the word is already out and the uprising has begun, overloading the system … or maybe just the hosting bill hadn’t been paid – Viva la revolución!